We have really enjoyed our stay in Camp Verde, it's a good central location for exploring the area. 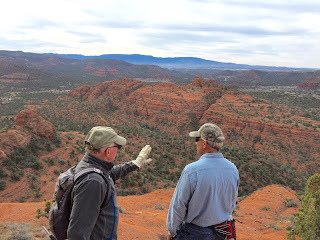 Here are a few hiking pictures from our Sedona outings. 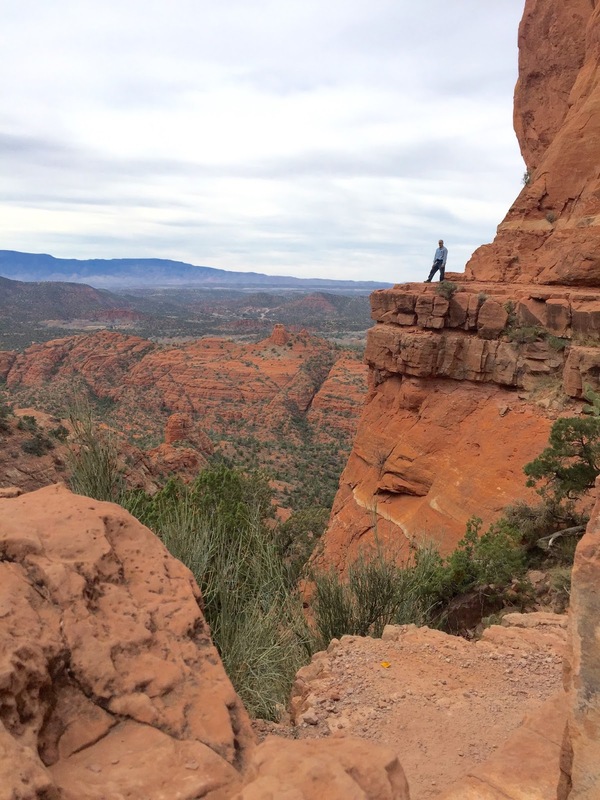 We love Sedona for all the hiking and jeeping trails...amazing red rocks and scenery. 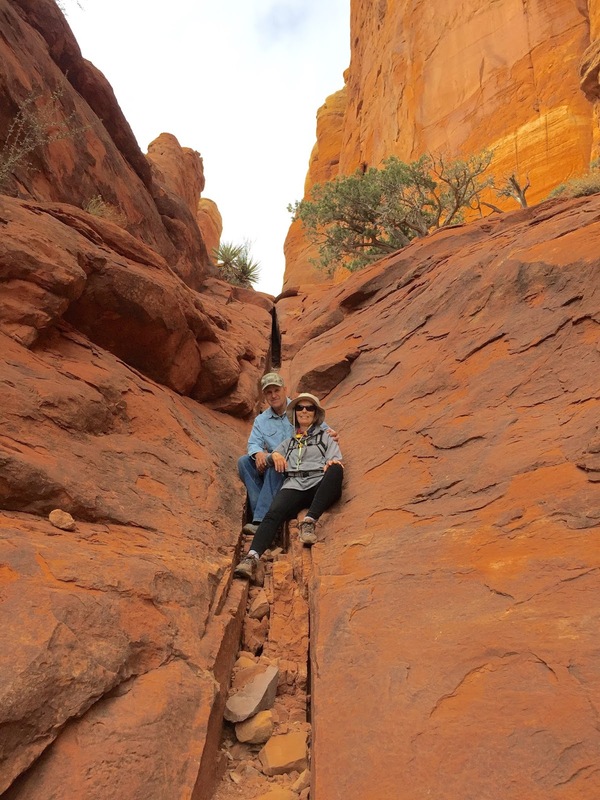 This was one of our first hikes to Fay Canyon, a fairly easy hike. This day we hiked the Little Horse Trail to Chicken Point. 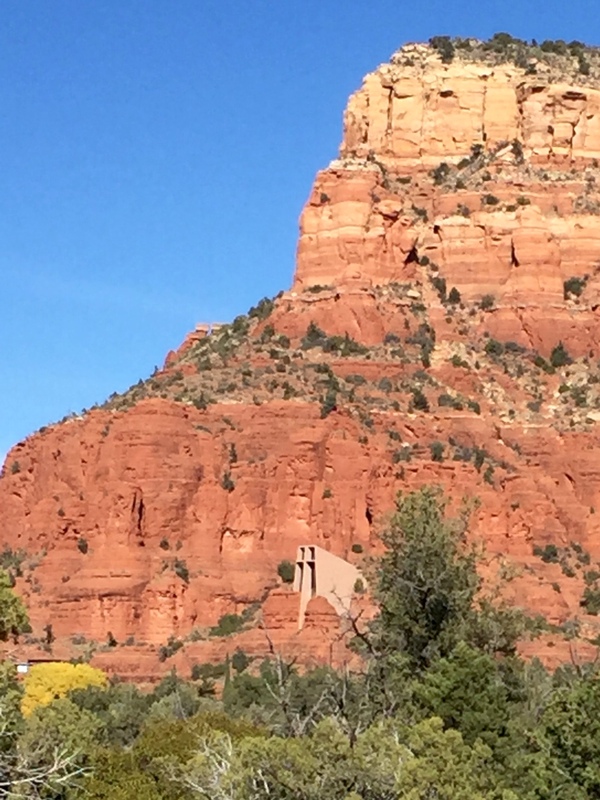 The trail took us within viewing distance of the Chapel of the Holy Cross. On the way back we took a side trail which took us over to the Chapel. It's a very peaceful place to visit. 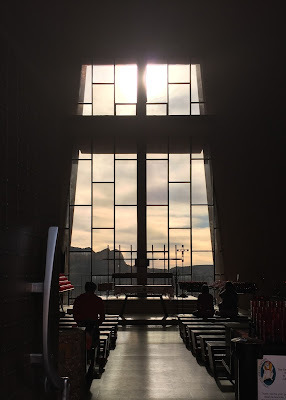 Visitors are welcome to go inside and have a quiet time to reflect or a time of prayer. 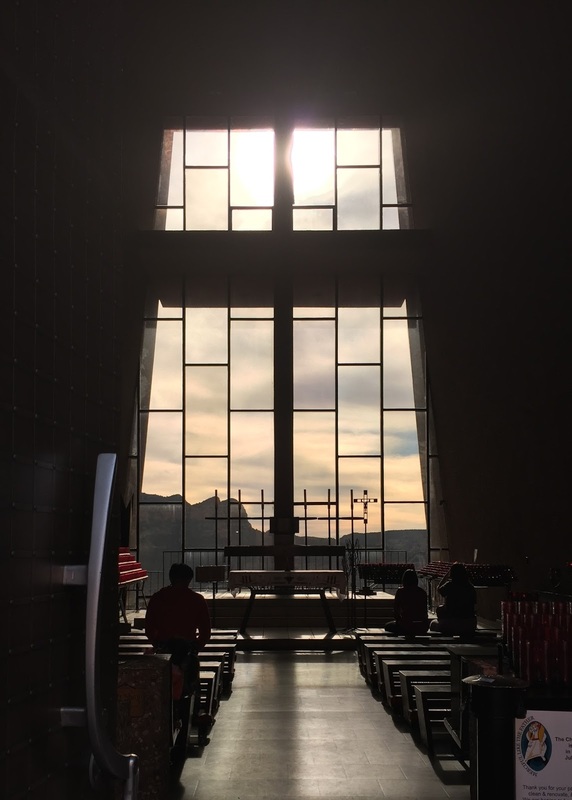 Inside the chapel with the cross forefront to amazing views. Hiking Cathedral Rock. 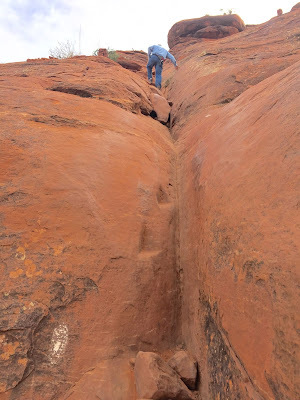 This hike was a bit more challenging in places, had to do a little boulder crawling. Met up with this seasoned hiker on Cathedral trail. He lives in the area and hikes here a lot. 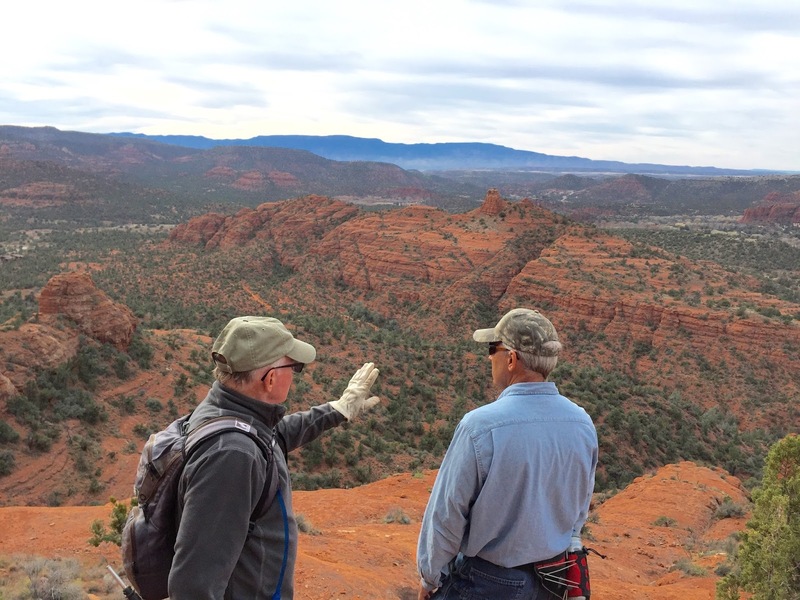 He pointed out many different rock formations and their names. Showed us other trails and ended up leading us down a back trail to Oak Creek which runs thru Sedona. Great day. Quite the vantage point, yes, that's Tom out there. I was standing in what they call the saddle of Cathedral where a vortex is located. There are several known vortex locations around Sedona which are said to have energy fields that many people believe can be felt within. 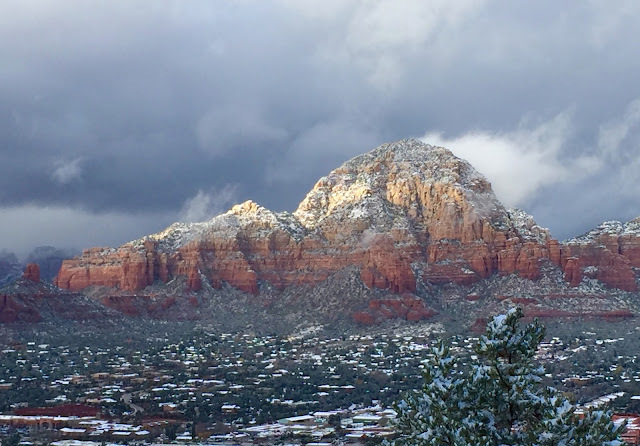 The vortexes are a very popular attraction in Sedona, spiritual to many. On our way down from the saddle. El Nino has produced colder than normal temperatures in AZ this winter. Sedona has had a couple snowfalls, we wanted to see a little winter and get in the Christmas spirit. 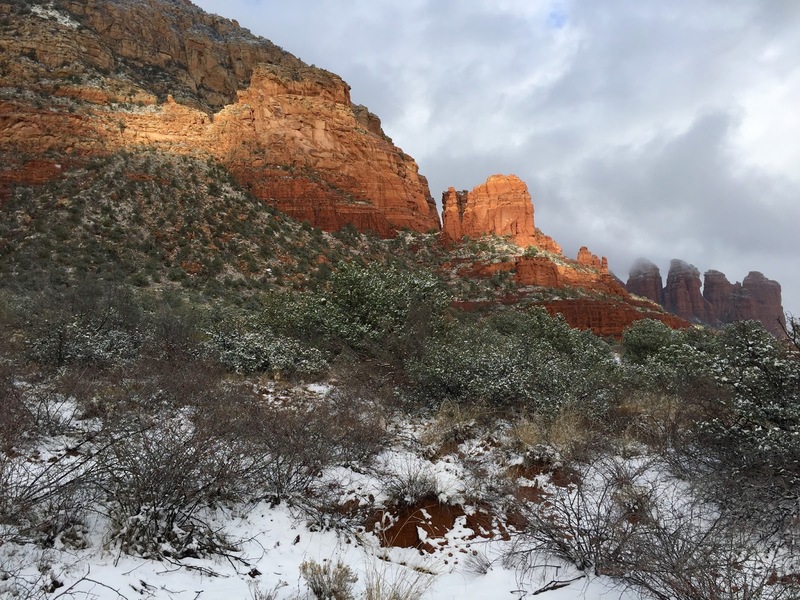 The snow and the red rocks created such beautiful scenes. Jeeping with our family. Soldiers Pass Trail and Mushroom Rocks. I can't believe we've been in this area 2 months, there are so many more trails we wanted to check out. Guess we'll have to come back. Am catching up with our travels in Oregon, what a beautiful state, I'm sure we will return. 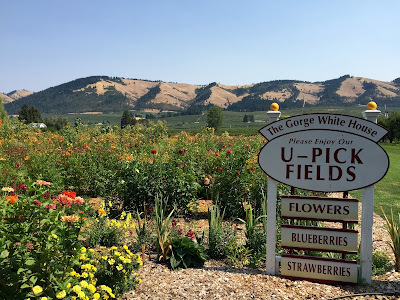 We traveled north thru central Oregon to the city of The Dalles on the Columbia River. Here we turned due west heading for the coast. We drove the historic Columbia River Scenic Byway, also known as Hwy 30. The highway runs along the Columbia River and the Columbia gorge. (The Columbia River forms the border between Oregon and Washington.) The scenery and history beyond any of our expectations, it was beautiful. The highway was designed and built in the early 1900’s for the emerging auto travelers. 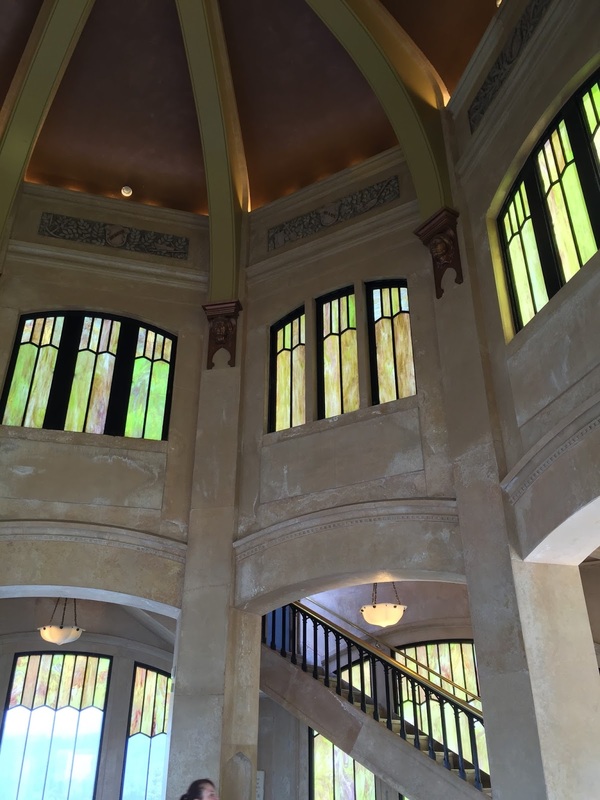 It’s a narrow winding road with beautiful views of the river, the gorge, spectacular waterfalls, architectural designed bridges and the most beautiful rest stop we’ve ever seen. It’s a highway meant to enjoy, the speed limit only 45mph. Crater Lake was formed by a volcanic eruption that occurred thousands of years ago. At 1,943 feet deep, it is the deepest lake in United States. 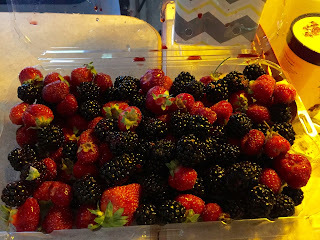 It is fed only by rain and snow. It has no river inlets, no boat ramps, only one steep hiking trail to the bottom, making it one of the cleanest large bodies of water in the world. It is famous for it’s exceptional clarity and intense blue color. the water was the bluest water I’ve ever seen. at times it looked like a watercolor painting. Odell, Oregon, Along the Columbia Gorge near Mt Hood. Our fresh berries, we were in berry heaven. So many beautiful waterfalls along this highway. Multnomah Falls being one of the most famous. It’s height of 620 ft makes it the tallest falls in the state. A short climb up to the Benson bridge is a great place to enjoy the view or feel the mist of the falls. 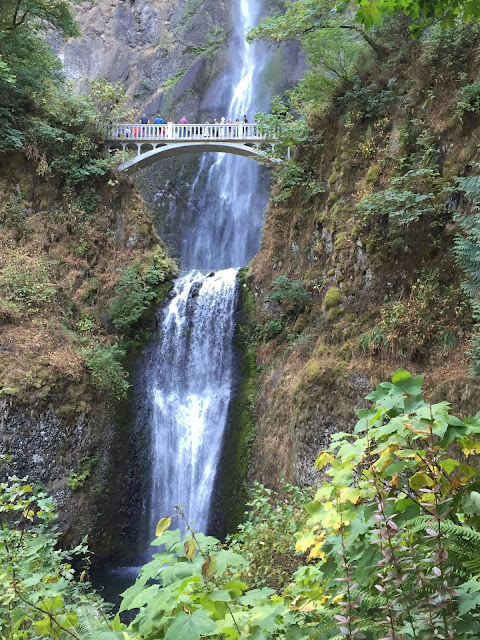 There are more than 90 waterfalls along the Columbia Gorge. Along the scenic byway...can you believe this is a rest stop? 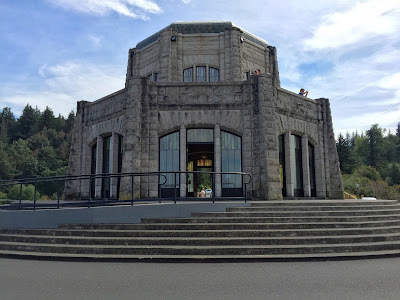 The Vista House, the most beautiful rest stop ever. Completed in 1918 as an observatory and rest stop with majestic views up and down the Columbia River. Inside the rest stop, stained glass windows and beautifully tiled floors. A view of the Columbia River from the Vista House Rest Stop. Next post we'll be on the coast.